Sink is an investigation of the relationship between hard and soft, surface and form, user and object. 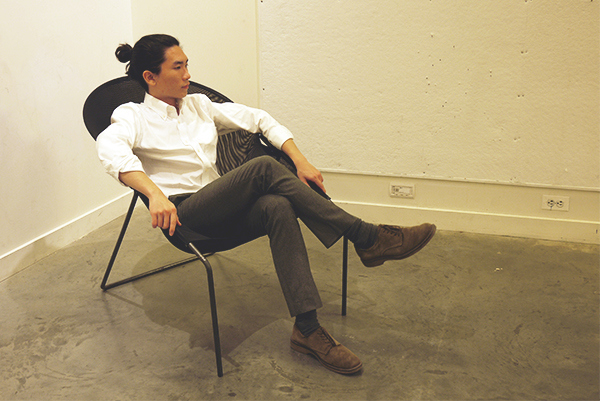 The result is a lounge chair whose seat surface becomes meaningful only when engaged by the user. Sink also allowed me to consider the concept of unfamiliarity in everyday objects; some test users expressed fear before they sank into the chair, which quickly turns into surprise through supportive comfort, followed by lingering fascination at departure. 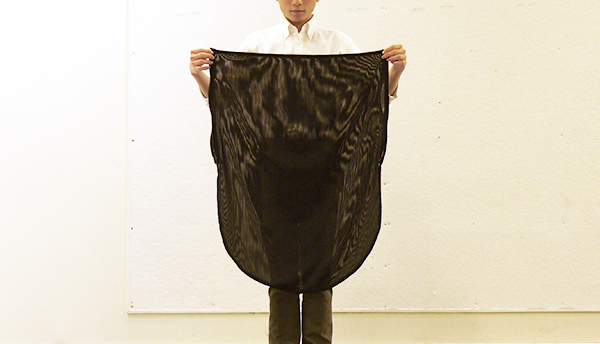 Sink began as a series of small experiments investigating the relationship between metal as structure and flexible sheet materials such as plastic and fabric as skin. It evolved into thinking about the experience of sinking into an embrace and being enveloped on all sides. Concurrently, the idea of delivering the best experience with the least material started to develop. The concept of an activated function, one where the user and the object are necessary and interdependent conditions for meaning to emerge became very fascinating to me. 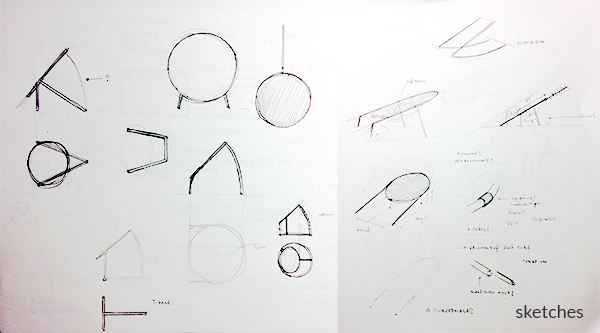 Without the engagement of a user, the sitting surface becomes a flat plane, meaningless as a chair. 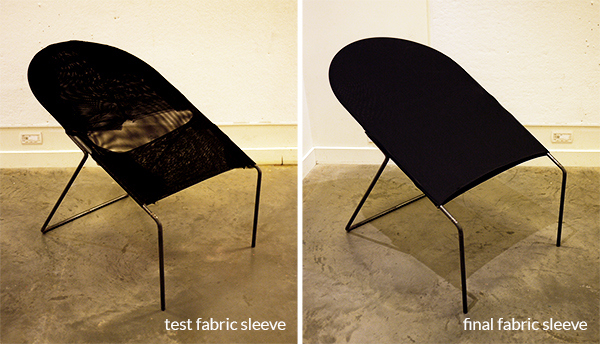 The prototype was tested by clamping fabric onto the frame using binder clips. A lot of lessons were learnt especially with regards to comfort, seating angle and size. 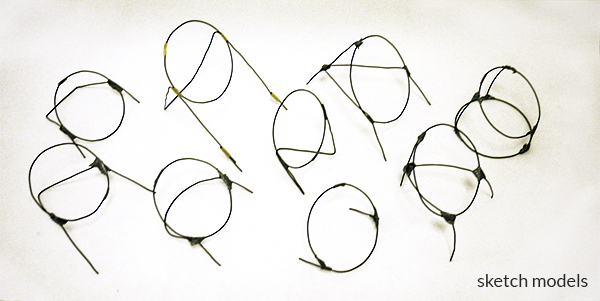 The frame redesign addresses all the issues that the prototype faced. 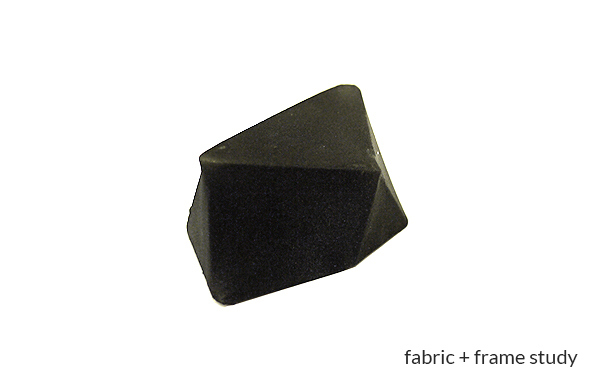 A test fabric sleeve was sewn together for the next series of testing. Half of the magic comes from the 4-way stretch polyester fabric sleeve. Many changes were made between the prototype and the final including: pattern, zip placement and knit density. Sink is an investigation of the relationship between hard and soft, surface and form, user and object. 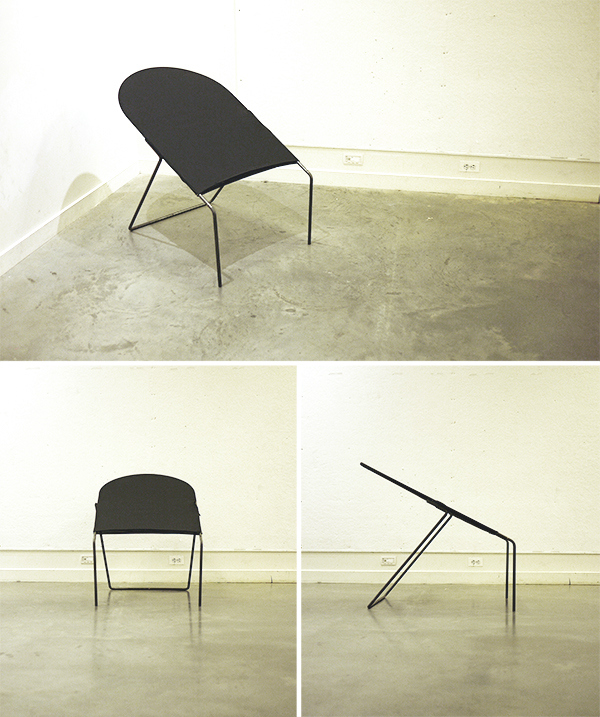 The result is a lounge chair whose seat surface becomes meaningful only when engaged by the user.